Call us stupid but advertising is, at least in some small way, supposed to show a relevant product benefit, right? So just what the hell does a car that catches a golf ball have to do with, well, anything? Nothing, actually. All UK agency Weapon7 and Mercedes Benz wanted to do here was get into Guinness World Records for the farthest golf shot caught in a moving car. Yea, that has a whole lot to do with how the Mercedes Benz SLS AMG Roadster performs in everyday life. No, Seriously. An Underwater Nightclub is Really Cool! Every time we hear that some amazing new nightclub is opening somewhere in some city and that it's destined to be the next biggest, best thing the nightclub the scene has ever seen, we can't help but envision all the hipsterific idiots and their bitchy girlfriends shouting at the bouncer demanding to be let in as if their life is going to somehow be change by the experience. We chuckle at the, well, chuckleheads who somehow think they need sunglasses to see at night. We witness all the not so subtly self-conscious girls checking each other out to see who's wearing the tightest, shortest minidress that shows the most amount of cleavage. And we especially get a kick out of the photographers who are more concerned with how the gymnastically twirl their camera around while taking pictures rather than actually knowing how to properly use it. Saatchi & Saatchi Frankfurt came up with unique, interesting and very targeted method of convincing those too drunk to drive to consider other methods of travelling home after a long night of drinking. 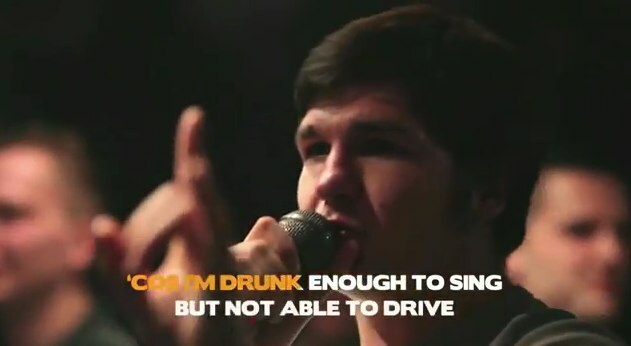 During Saint Patrick's Day this year they changed the lyrics to karaoke songs replacing them with don't drink and drive-related lyrics. The strategy can be summed up quite simply. If you're drunk enough to sing karaoke, you're probably too drunk to drive. Effective targeting if you ask us. The power of Pine-Sol, baby! 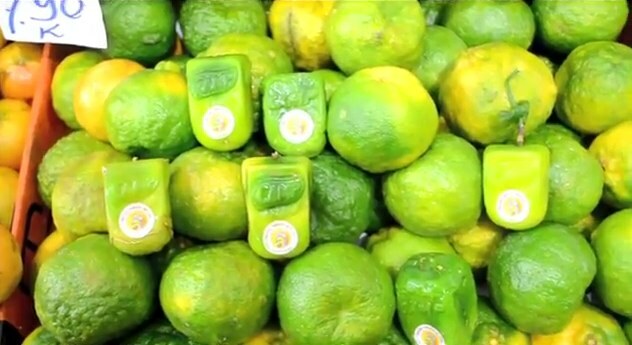 The prank-tastic power of Pine-Sol! Filmed by Conscious Minds at a test house in Pasadena, CA in April, Pine-Sol invited 50 men to a product test. They were told Pine-Sol was documenting how men between the ages of 25-35 use their product to clean messes. That's were the test ended and the fun began. Diane Amos, the Pine-Sol lady herself, was hidden in a cabinet, beside a window, and behind a door. As the men cleaned, out she would jump with hilarious results. Good stuff. Way more soul than Mr. Clean! Now this is kind of cool. Along the lins of that popping balloon stunt, ASICS, with help from Vitro, is out with a stunt featuring American marathon runner Ryan Hall. In the video, Hall steps on pads that launch arrows at a passing truck. 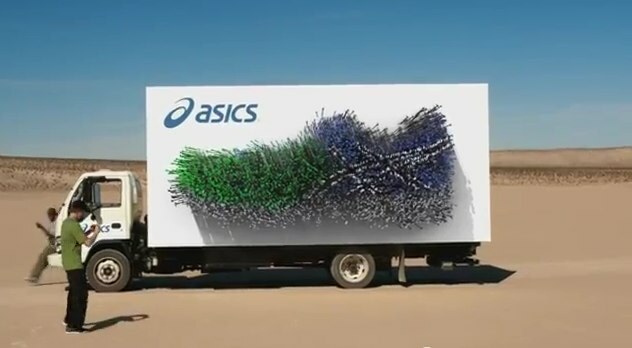 The result is the ASICS logo on the side of the truck. Not bad. Last week San Francisco residents passing through Justin Herman Plaza today got a bit of a surprise. Overnight, Tourism British Columbia, with help from Dare and Citizen Relations,erected the BC Moments Machine - a 14-foot tall, 10-foot wide vending machine. The machine will be offered items like mountain bikes and made in BC surfboards. The BC Moments Machine is part of the 100 BC Moments Campaign that urges travellers to experience what BC has to offer. In 2010, Tourism BC installed an urban zipline across Justin Herman Plaza. 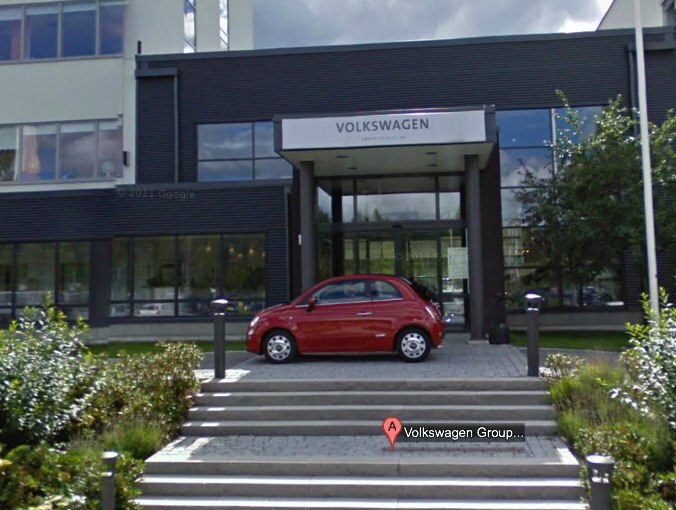 Jalopnik reports Fiat conducted an elaborate Google Street View stunt in which the car manufacturer - with or without some inside information - was able to park a Fiat 500 outside the Volkswagen offices in Sweden just before the Google Street View camera car drove by capturing the moment. The image is likely to be in the Google Street View database for at least a year so VW is just going to have to deal with it. Though we don't doubt many who happen to view the image will simply assume the vehicle is a VW. Fiat should have affixed a giant Fiat decal to the side of the vehicle for a bigger slap in the face. We're quite positive we've never before heard Old MacDonald's Farm used as a method for explaining how a guerrilla marketing stunt was performed but we have to admit it works in this case. Ageisober, to explain how they created a stunt to illustrate just how real Camp Juice is, created juice boxes made out of real fruit. They created juice box molds in which the fruit was grown. They then placed the finished product in the produce sections of grocery stores. Cool as the stunt is, our favorite part is how they decided to explain the stunt. When we first took a look at this Sprite Shower work Ogilvy Brazil did for Sprite we wondered, "A Sprite shower? That would be a little sticky wouldn't it?" Well, luckily the fluid coming from the shower was water and not Sprite. The installation was crafted to bring some relief to Rio do Janeiro beach goers who were sweltering under the sun. We suppose they could just go swimming in the water but whatever.